Like many little ones Bella has had eczema from she was a baby. Each year in the cold weather it gets much worse and now that we have had her at the swimming pool weekly it has irritated it further drying out her skin. Last month we were at the point that some patches of skin were so bad and dry that it was a mission to be applying cream in order to stop it from cracking and bleeding. I had her at the doctor and tried numerous creams on her. Nothing seemed to make it improve and some even stung so badly when applying she was crying or dreaded getting it on. I stopped with any that stung, creams should soothe and protect the skin not hurt them. Like many parents I have spoken to I have tried a concoction of lotions and potions. Many would give the illusion that it may improve the skin only for 2/3 days later being as bad as before if not, in some cases worse. I found bloom and blossom baby balm one of the best but at £16 for 30ml it would be perfect for nappy rashes etc but covering a toddlers body in it 3 times a day would have it finished in 3 days. I had heard about the Queen Bee Naturals Baby Belly Bar on Facebook and heard positive reviews. 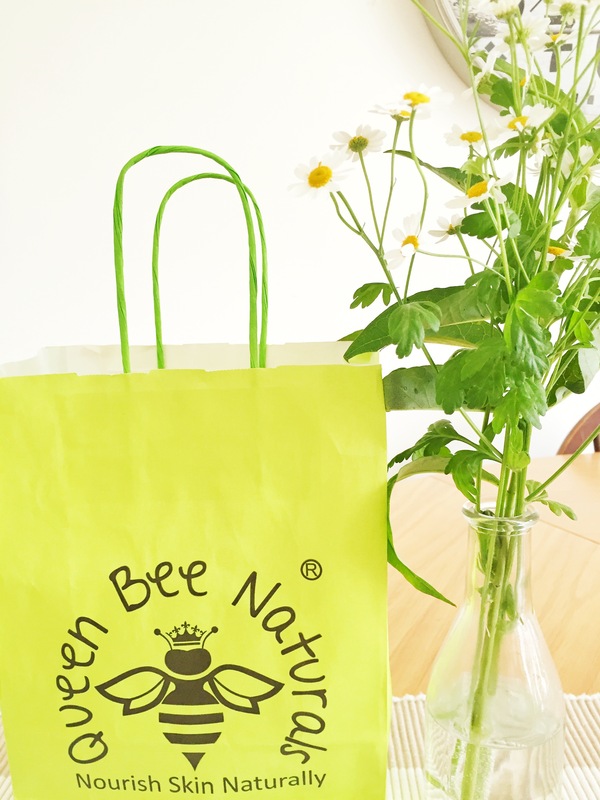 When I spied the Queen Bee stand at the Irish beauty show 2 weeks ago I couldn’t wait to get speaking to them and find out more about the product ingredients. 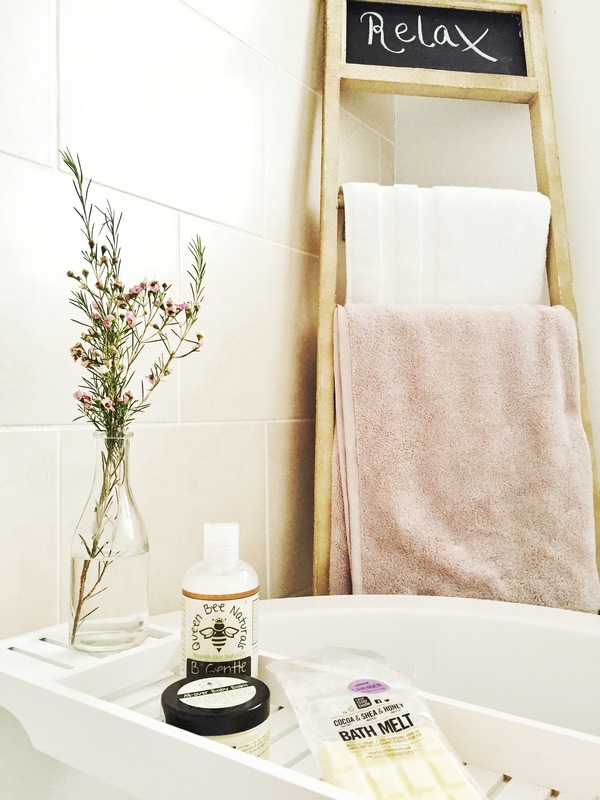 With every product being 100% natural, free from all artificial ingredients, colourants, perfumes and preservatives I knew that I definitely had to give this a go (team that with finding another beautiful product from NI). I got the cocoa, shea and honey bath melts with lavender £5.50 (that looks like a milky bar), all over baby balm £12 ( I got this instead of the baby bar as I want to use this on both girls and it will minimise any chances of infection) and finally the Coconut B Gentle hair and body shampoo £9.50 which is sulphate and paraben free. Within 2 days of Bella using the products and applying the baby balm morning and night the redness was dramatically reduced and she was no longer complaining of the sore itch. The balm melts like an oil when in contact with the skin and goes a long way. I have to be very strict about not letting any other products that are not 100% natural be in contact with the skin and 2 weeks on the improvements are dramatic. 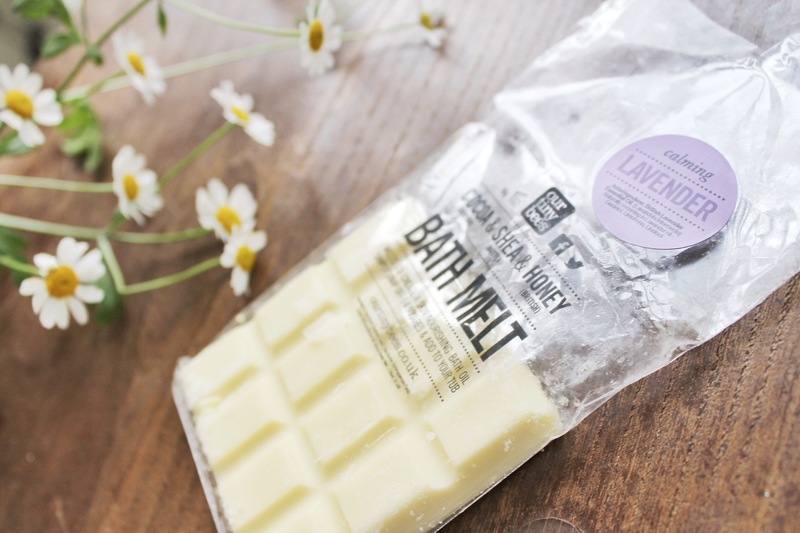 I also personally love the bath melts and they are fantastic for before applying fake tan, it leaves a lovely coat of oil on your body and reduces the tan clogging around dry areas like elbows, knuckles and ankles. I hate seeing tan stuck there and is definitely a beauty must have for me now. Seeing the dramatic difference it has made to Bella’s skin I am also on the search now to change my own body products and looking forward to giving Arbonne cosemetics a go. I do not have sensitive skin but I am keen to reduce the chemicals I expose my skin too, I try to have the right balance with what we consume so I also want to put the same focus on what we put on our skin. Have you any recommendations for sensitive skin? If so we would love to hear them.